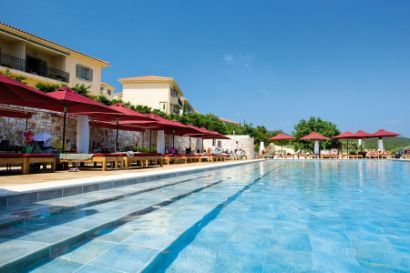 The Hotel Emelisse really is located in one of Kefalonia’s prime locations. 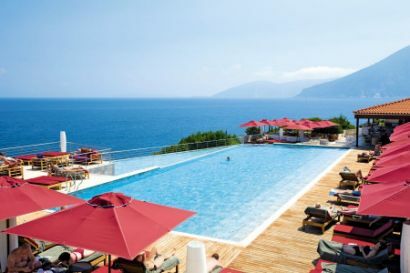 A gold medal winning hotel In Fiskardo – this 5 star retreat is a stunning place to stay. Carved into a hillside and with a small bay close by you will be staying in one of Kefalonia’s prime locations. With the lowest terrace housing the split level pool with views accross the ocean and an infinity section adding to the luxury the Emelisse Hotel couldn’t be better. 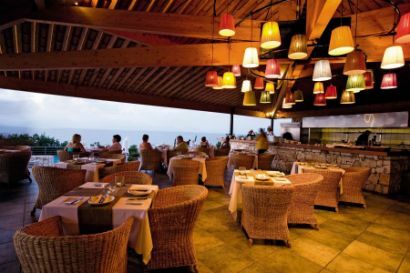 Designer touches rein throughout from the rooms to the terraces and the food is great with a pool side restaurant and bar overlooking the beach. 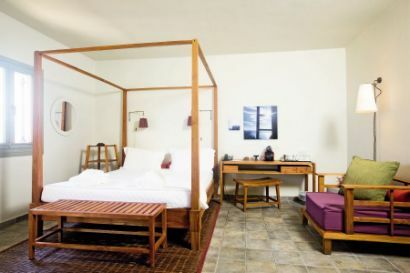 All rooms have air-conditioning, fan, satellite TV, DVD player, CD player, phone, internet access, minibar and hairdryer. Standard rooms have a double bed. Some Double Executive rooms and Junior Suites have seaview and shared pools. 1. You can check the Hotel Emelisse availability and package prices at Thomson Holidays.